Kathryn P. Childs, MD is a Board Certified Ophthalmologist and offers state of the art treatment for both medical and surgical diseases of the eye. She graduated from SUNY Downstate Medical College in 1991 and completed her ophthalmology residency at New York Medical College in 1995 where she served as Chief Resident. Dr. Childs was Associate Director of Ophthalmology at Lincoln Hospital in New York and Assistant Professor of Ophthalmology at Cornell University Medical College. She has also held academic positions at New York Medical College and the Manhattan Eye, Ear, and Throat Hospital training the resident ophthalmologist in all aspects of medical and surgical eye care. 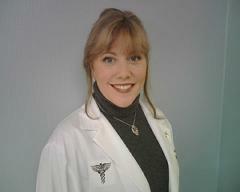 Dr. Childs has an active membership in the American Academy of Ophthalmology and the New Jersey Academy of Ophthalmology. After spending time in Montclair, she fell in love with the diversity, beauty and excitement of the town and decided to live and practice medicine in the community. Contact us to make an appointment for your family eye care services. 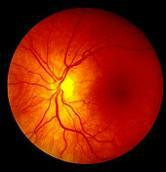 Your Source for an Eye Doctor in Montclair, New Jersey. Make an appointment at our ophthalmologist's office in Montclair, New Jersey, for ophthalmology eye care services for your whole family.